The epitome of style, this matt black bike jacket has a colour-customisable leather strip to add your own stamp while maintaining all the quality and safety features you’ve come to expect from Bikers Paradise. The 1.2 – 1.3mm matt black cowhide looks and feels luxurious. The thickness is substantial enough to offer your skin an impressive level of protection in a slide while still being soft and supple, making it a treat to wear. A cotton-rich red lining is a must for both comfort and safety. One of the best pieces of advice we can give you is never to wear a synthetic man-made material next to your skin when riding – these materials can melt into your skin with the friction of the road in an accident. A natural cotton lining is essential to avoid this. 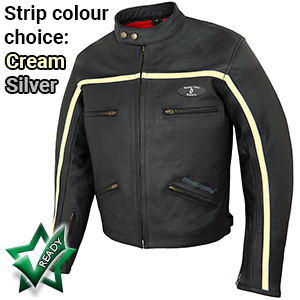 Choose a colour from the drop-down list to customise the strip of leather running across the chest and down the sleeves and make it the perfect motorcycle jacket for you. This isn’t a strip of leather lazily placed and sewn on top of the jacket, oh no! This feature has been beautifully designed to be integrated into the construction, lying flush with the rest of the jacket! 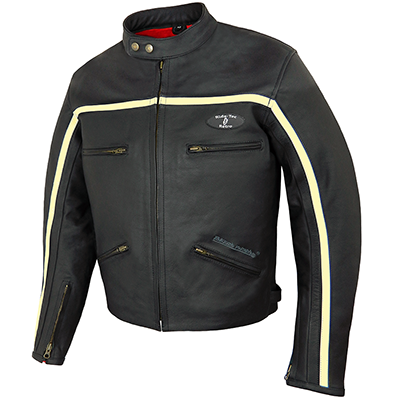 This means that the custom-colour strip feature does not intefere with the safety of the jacket as it is not a separate panel. 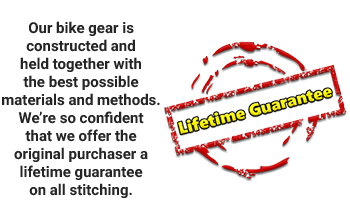 Protecting your bones! Our fully adjustable armour system is unique and works like a dream. Viscotec CE armour is available for shoulders and elbows and can be placed exactly where YOU need it. 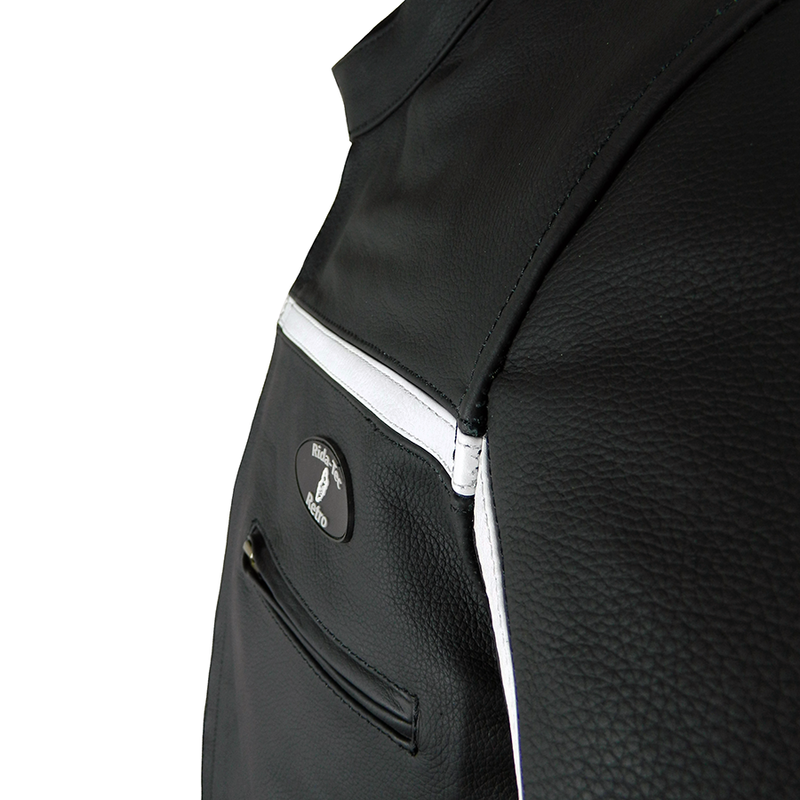 For practicality, you have four external zipped pockets available and two internal pockets. For durability, the main central zip fastening, pockets zips and cuff opening zips are heavy duty YKK zips. Holding all of this together is heavy duty thread and stitching with double and internal stitching at vulnerable areas that are most likely to be exposed if in an accident. The Rida-Tec Retro is perfect for summer riding (and posing). 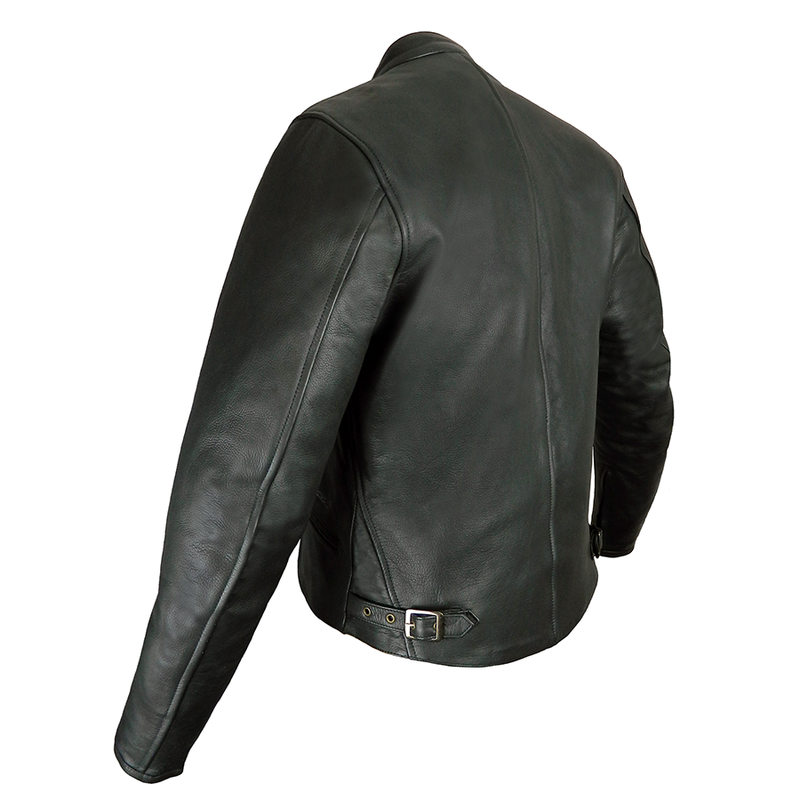 You know you look good and you definitely feel confident in this customisable leather motorcycle jacket. PRE-ORDER yours now for the New Year.